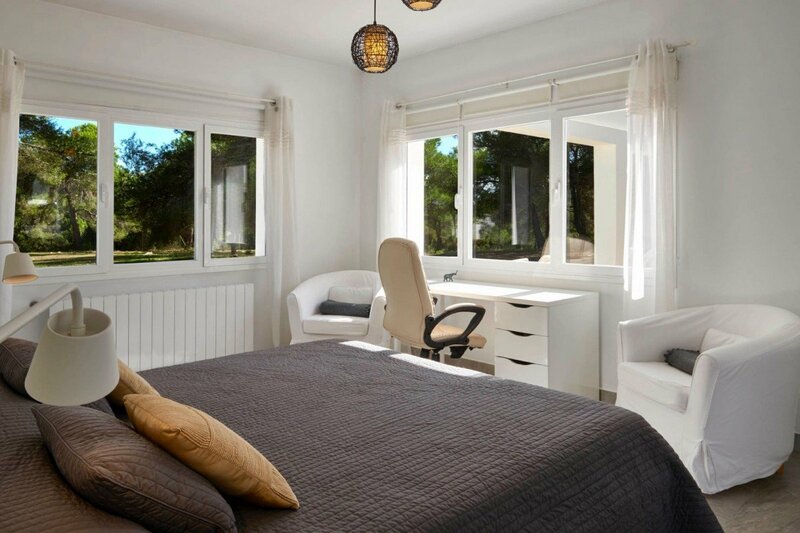 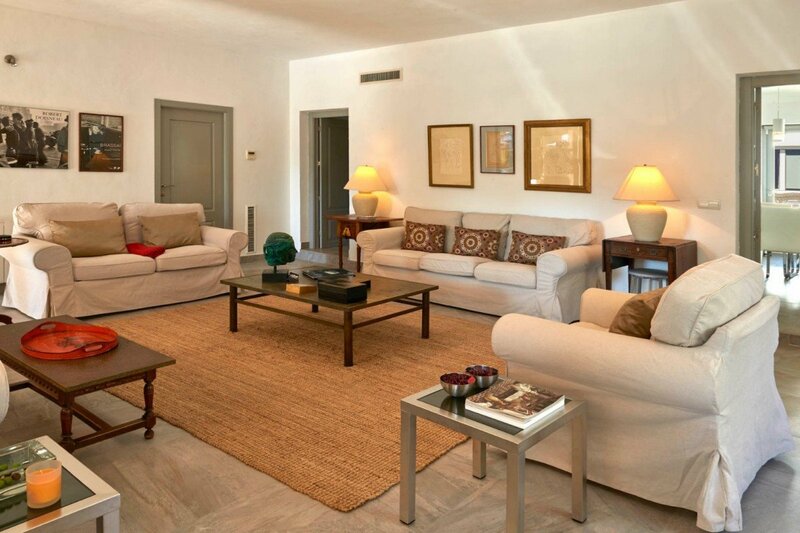 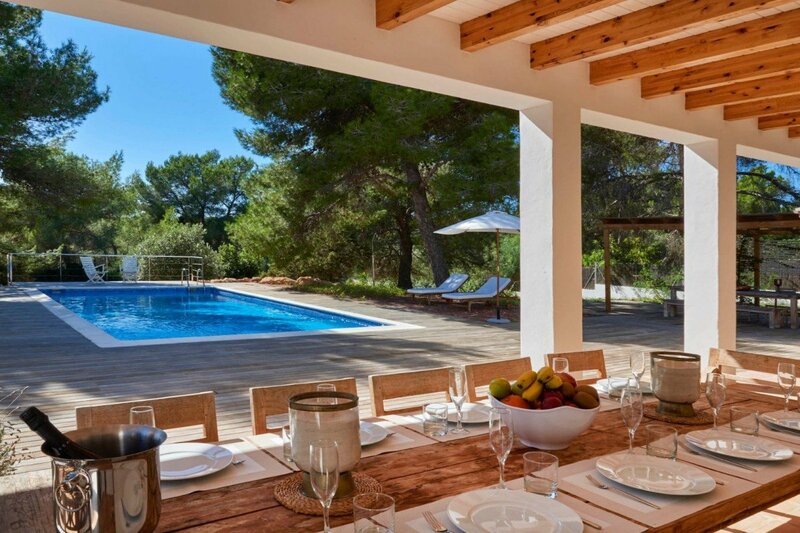 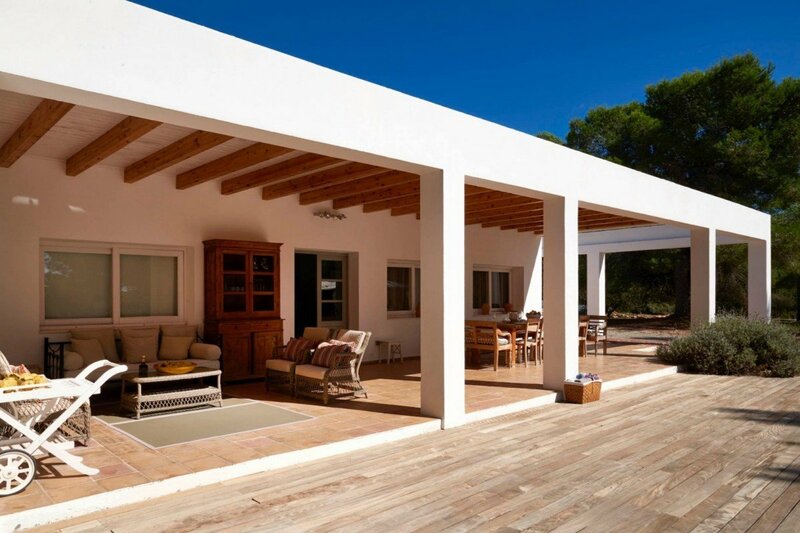 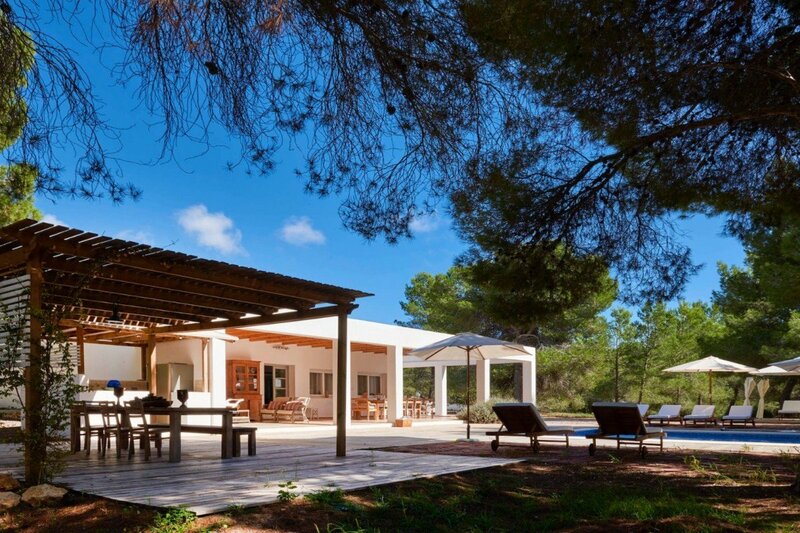 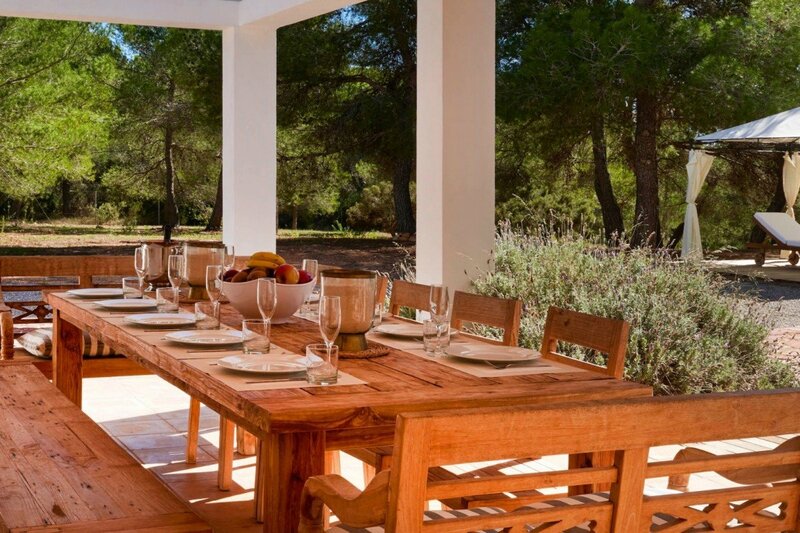 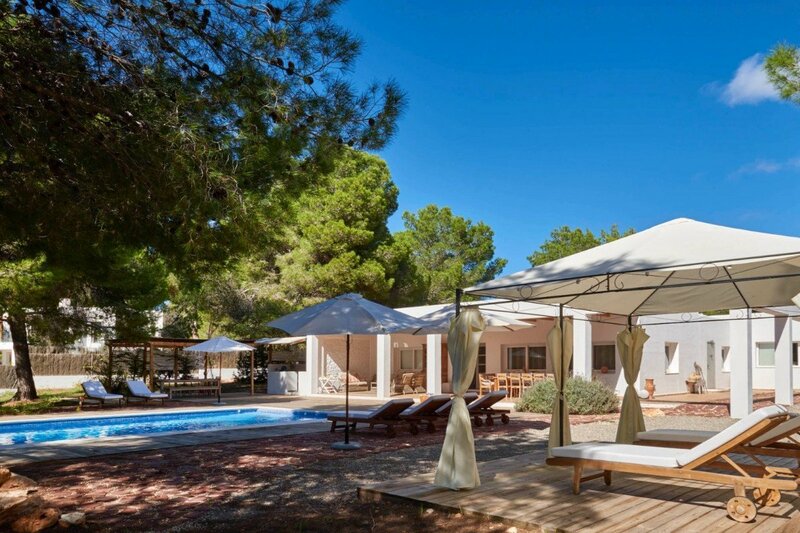 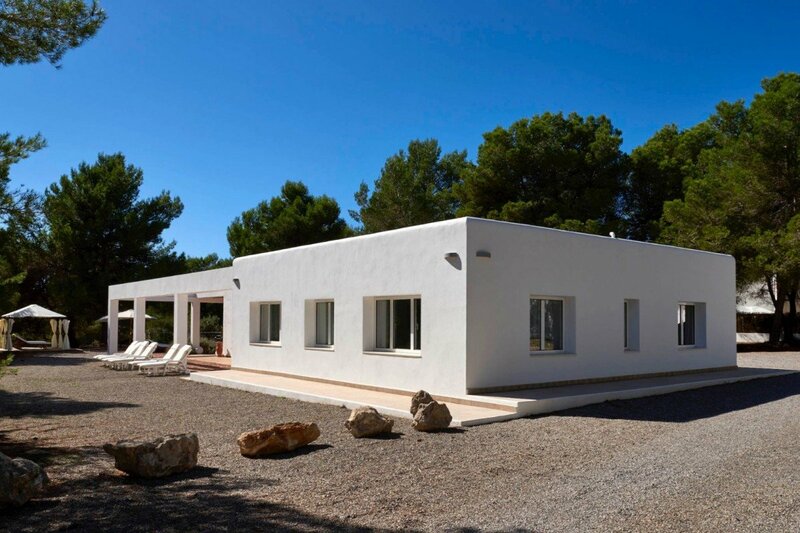 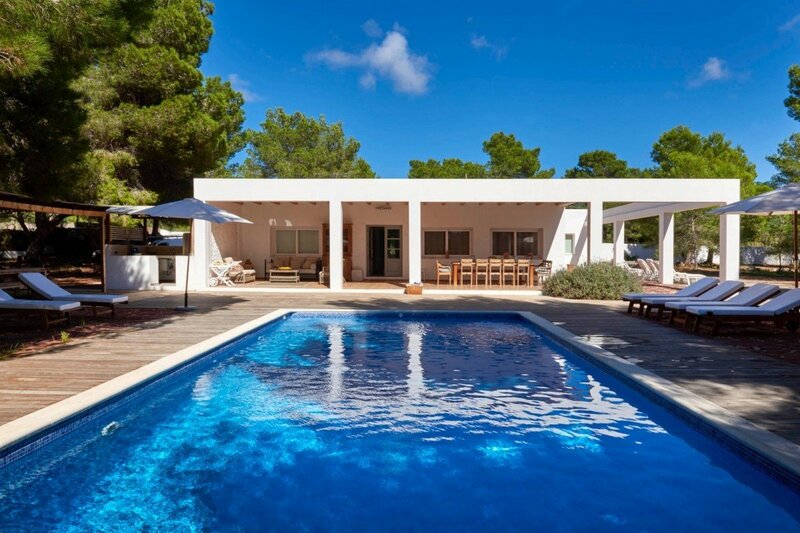 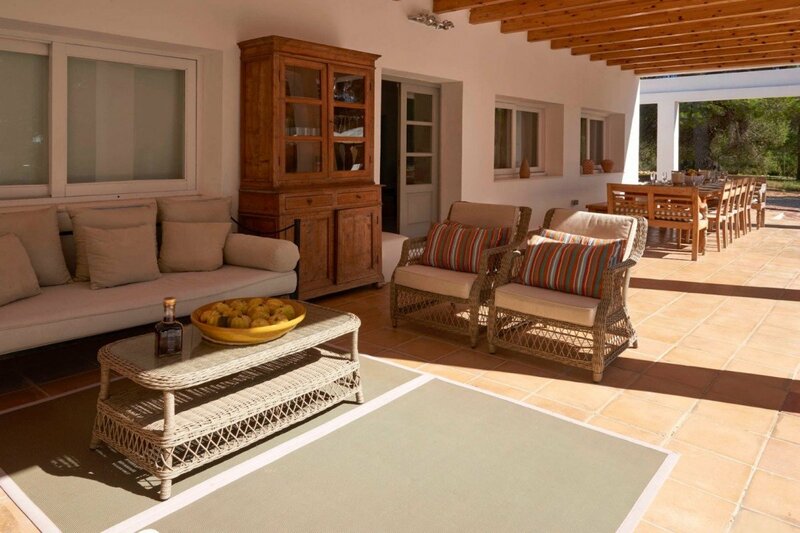 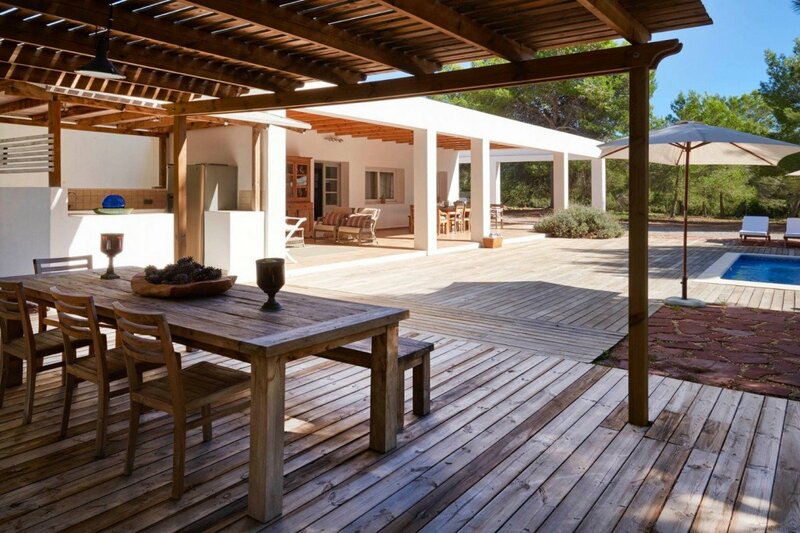 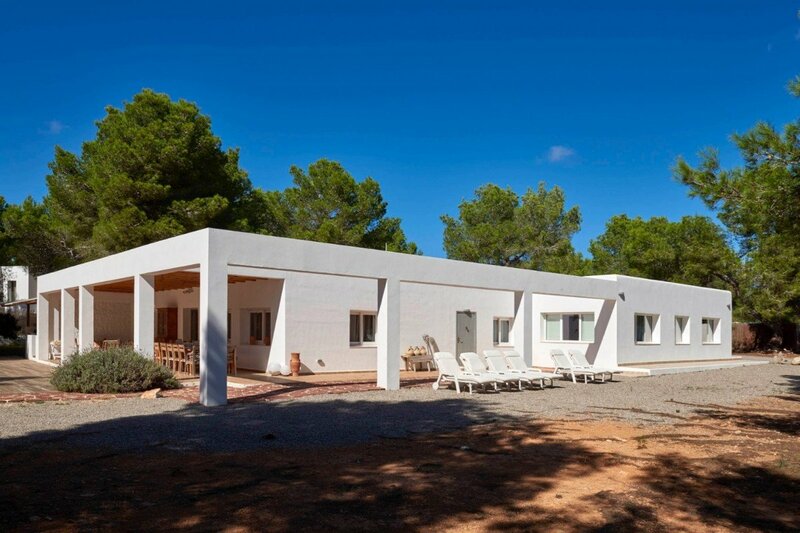 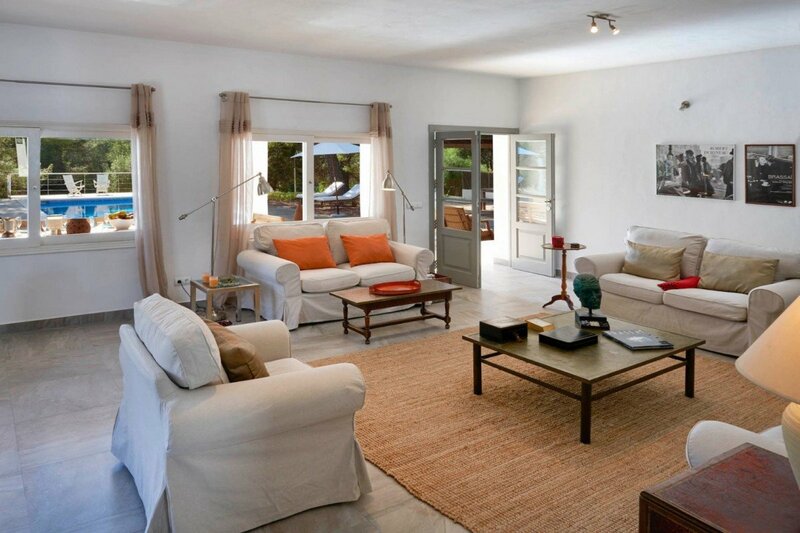 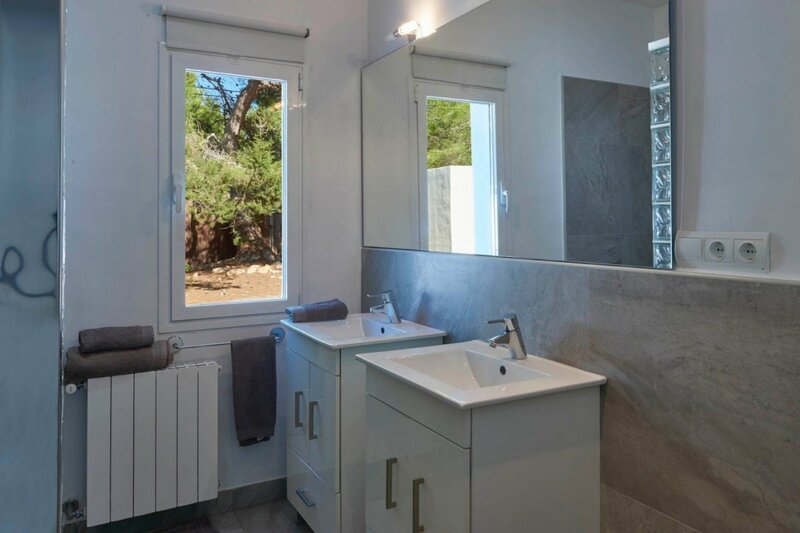 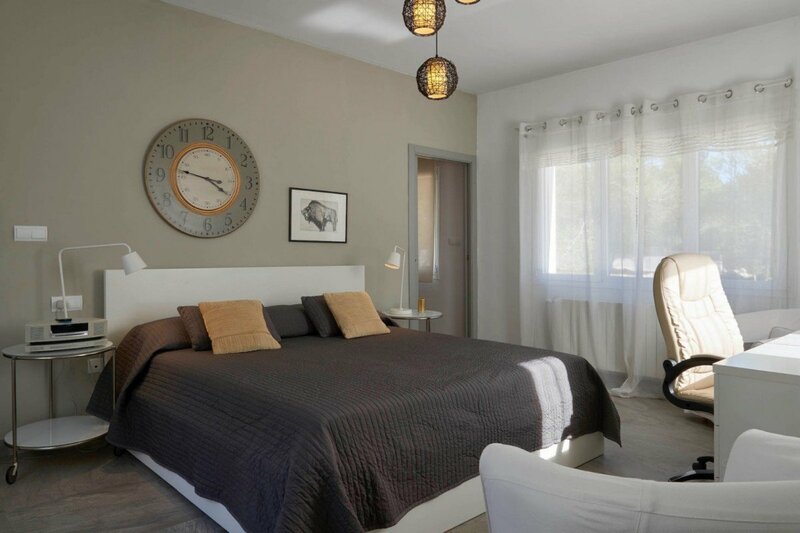 Villa Campo Jondal Ibiza. 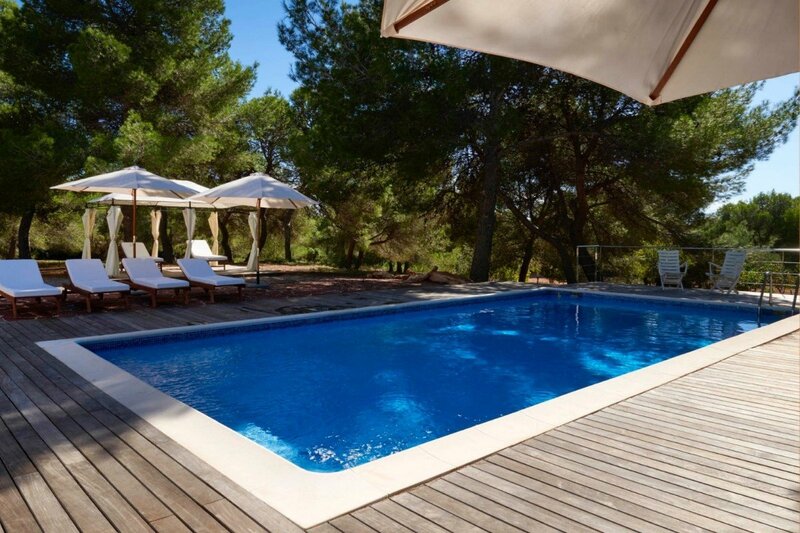 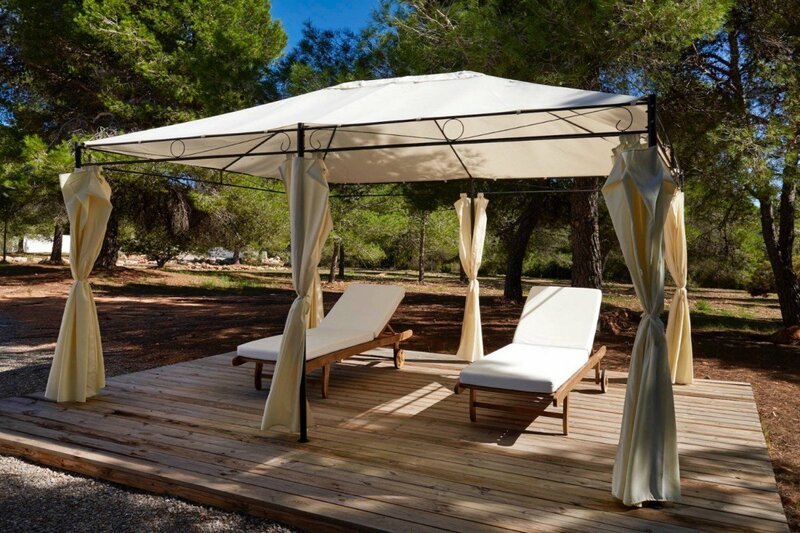 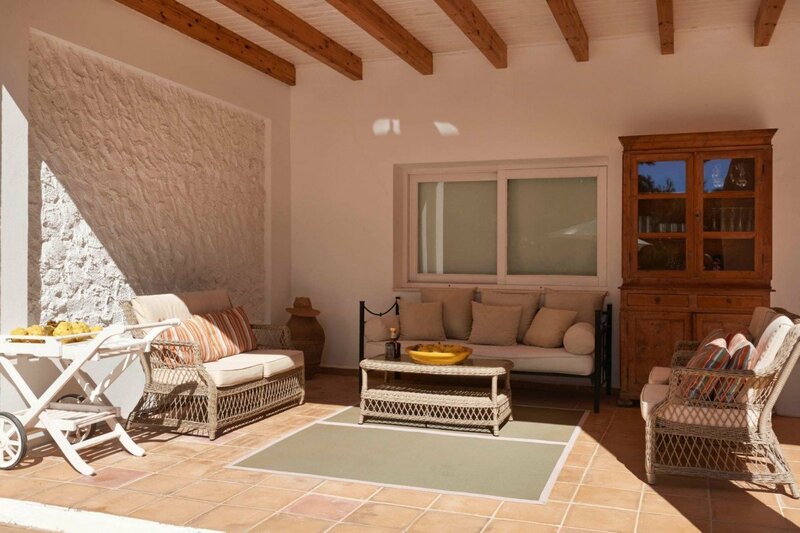 This stunning villa only 1500m from Cala Jondal is situated within a 10,000m2 fully fenced secluded plot nestled amongst many pine trees and fruit trees.This fantastic property is south/south west facing and has the sun all day, the 10m x 4.5m pool is surrounded by high quality wooden decking and there is a spacious outdoor chill out area with a 50m2 covered pergola. 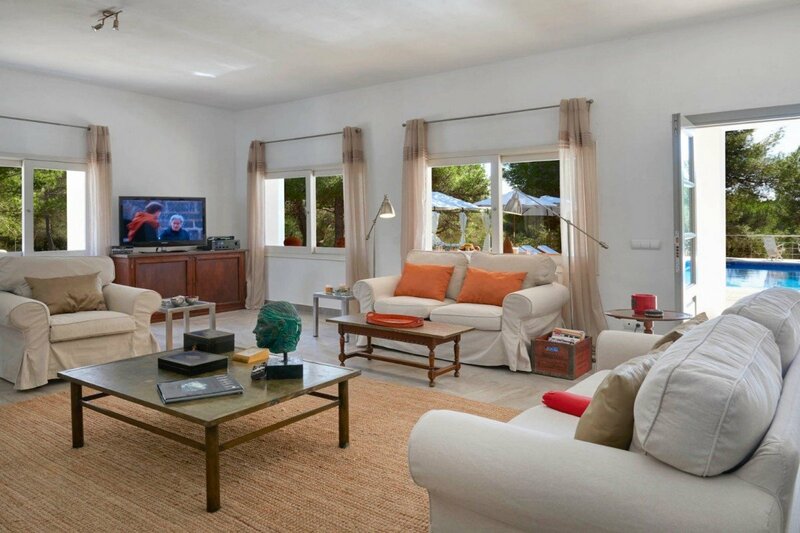 There is a stylish open plan living area consisting of a spacious lounge with an abundance of comfortable seating with features such as satellite TV, Apple TV and a DVD player. 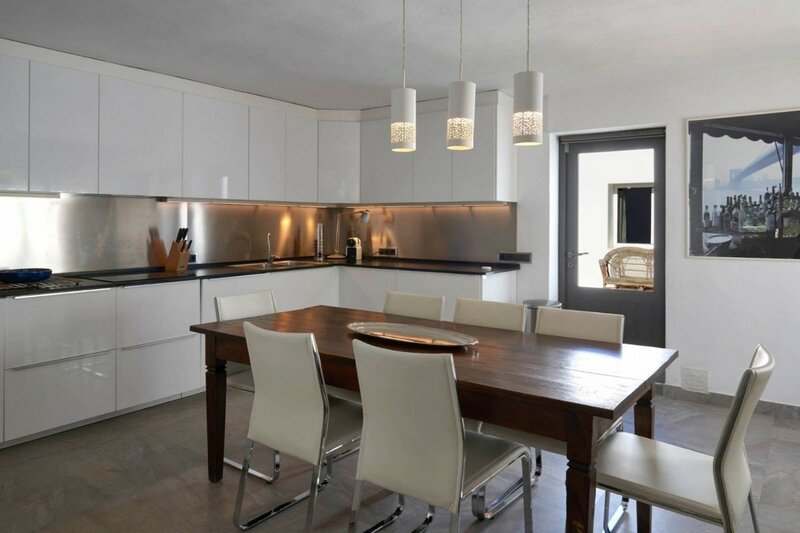 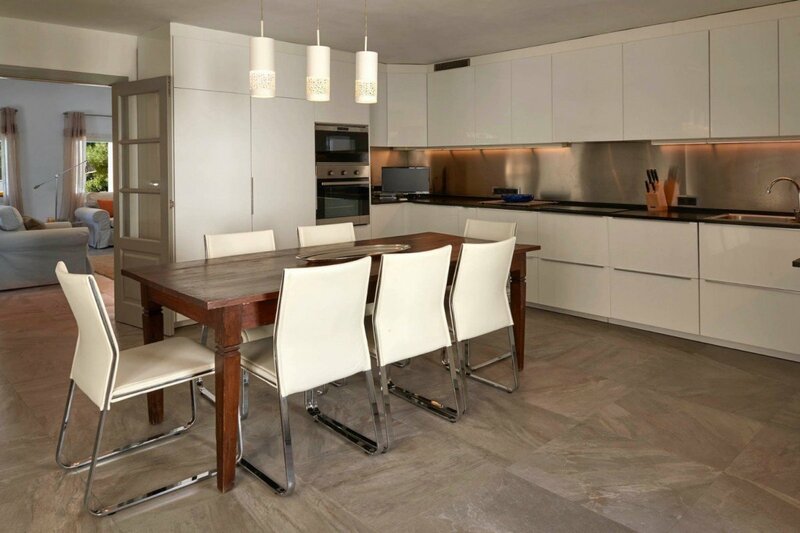 There is a dining area easily seating 8 people and a fully equipped modern kitchen with all modern appliances. 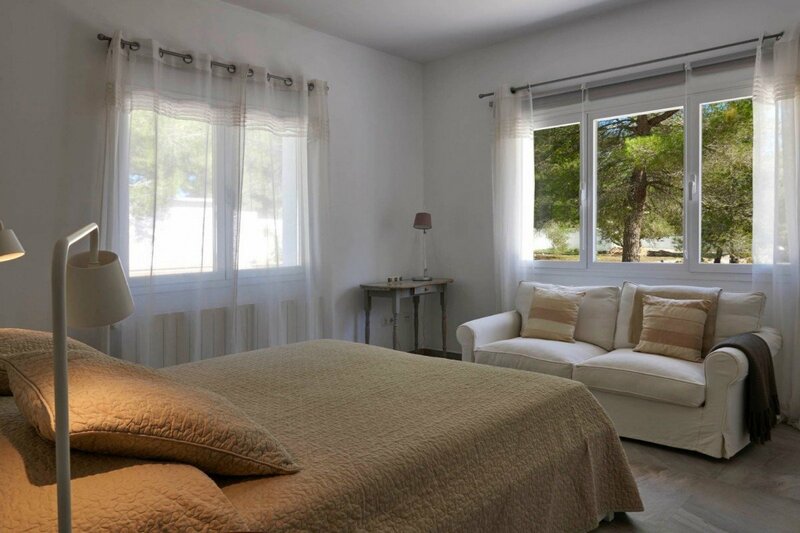 Air conditioning, WiFi and a Bose Sound System is accessible throughout the house and there is also a washer and dryer. 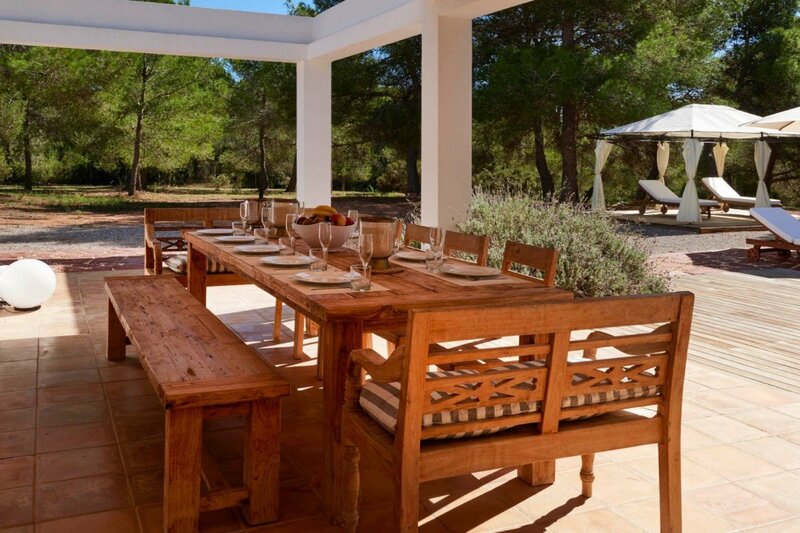 This property also boasts a fantastic fully equipped outdoor kitchenette with a double fridge, dishwasher and huge outdoor dining area. 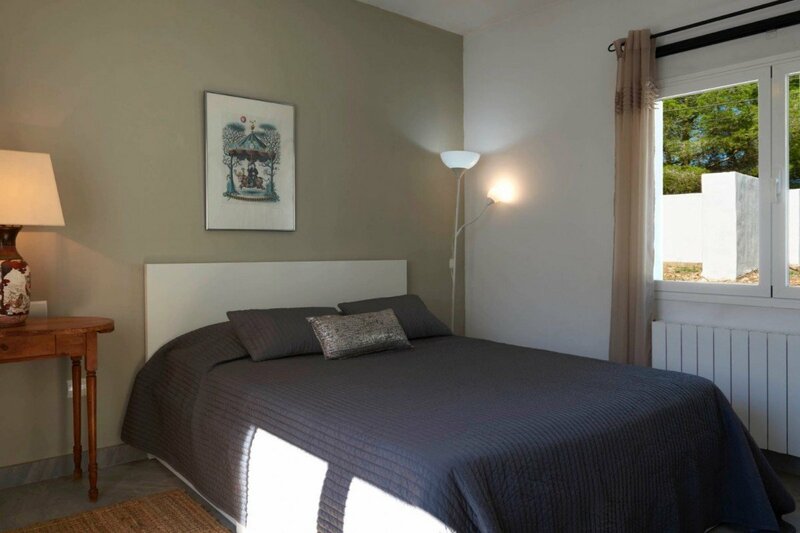 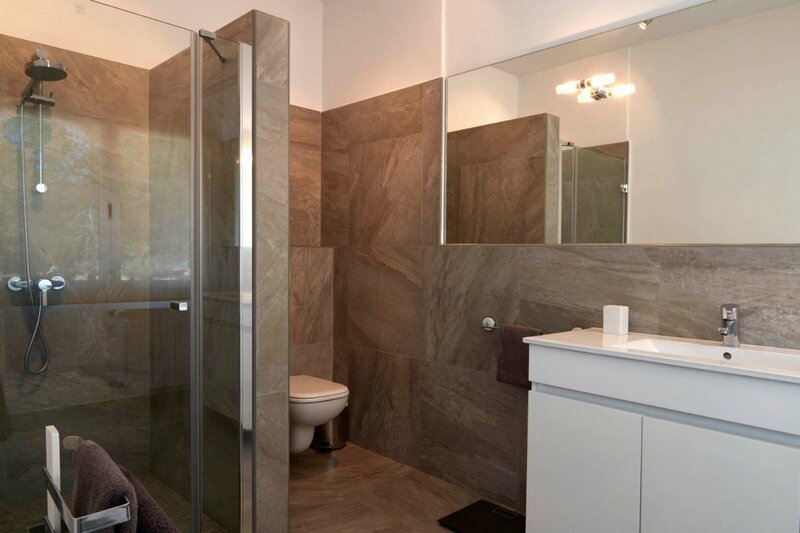 Bedroom 1 & 2: Master bedrooms with a king-size bed, A/C and en-suite bathroom with shower, vanity and WC. 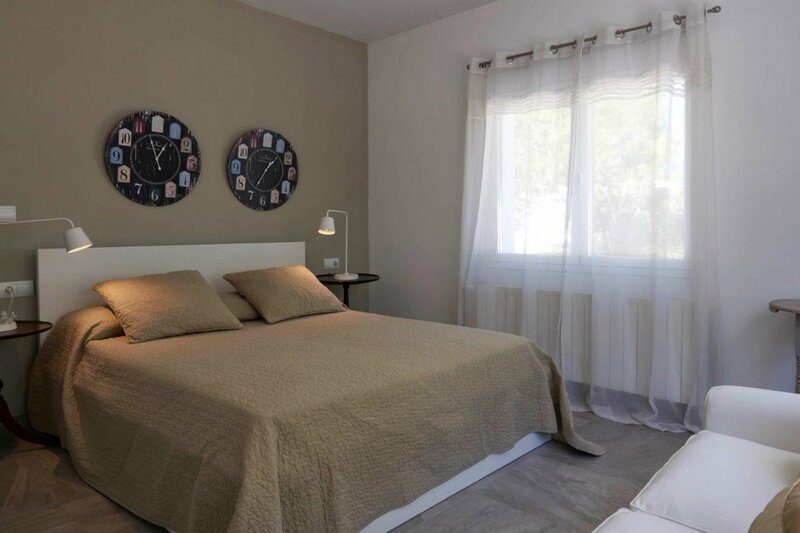 2 guests maximum per bedroom.